Pop Up Marquee Event - Free Tickets! 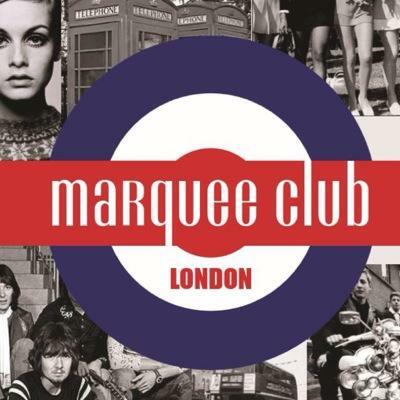 Legendary live venue The Marquee Club, London is set open its doors once again as part of the Indulgence Show on Friday 14th October for a one night only exclusive event. The club that started the careers of Bowie, Jimi Hendrix and The Rolling Stones (to name but a few) is presenting The Marquee Experience at The Novotel in Hammersmith. The event is supporting music therapy charity Nordoff Robbins as well as being a launch party for Mitchell & Johnson Audio, with tributes to the legendary acts that once graced the Marquee Club stage. The best part? There's 200 free tickets for those of you who want to attend - but be quick! The free tickets go off sale tomorrow. Please come down, as it'll be a great night of music and I'll also be there, so you can say hi if you want to (or not, that's fine too). I really hope you can make it and support this great charity and good cause. Tickets can be bought HERE. If you don't get a chance to nab a free ticket, there's a small fee of just £13 (not including tax and all that boring stuff) to attend.